Anglesey - All about the Isle of Anglesey (Ynys Môn) in North Wales. Anglesey, 5th century Penmon Priory Church. 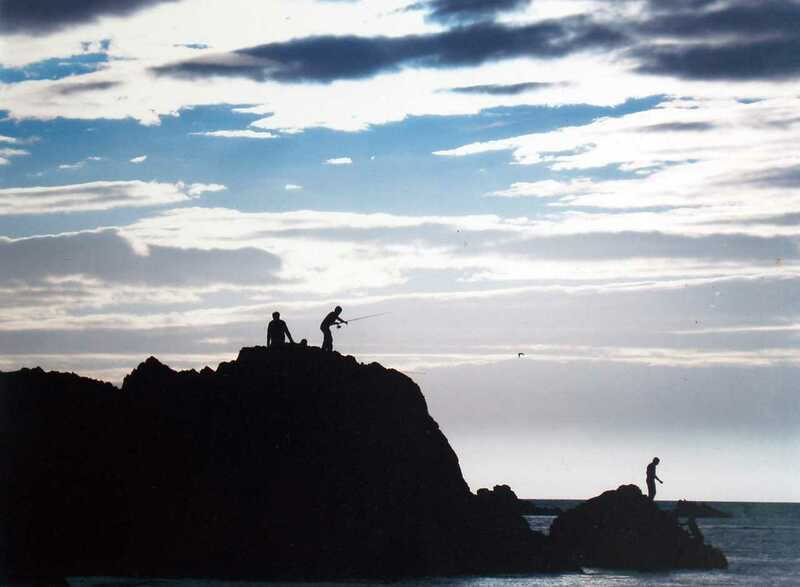 Anglesey, Sandy Beach, Evening Fishing. 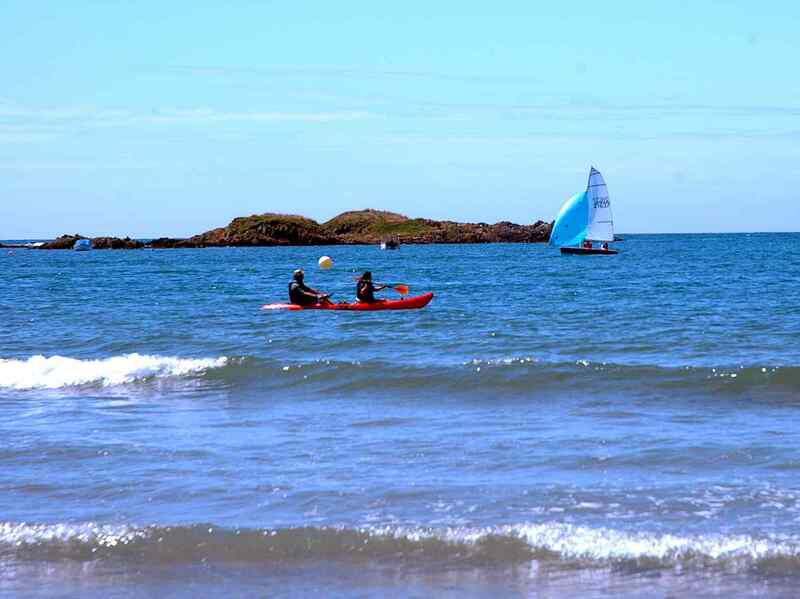 The beautiful Island of Anglesey has lots of blue flag beaches and is rich in ancient history. Located at the north west tip of Wales, Anglesey is the largest island in England and Wales, yet has a relatively small population of approximately 65,000. The name Anglesey is of Viking origin, taken either from the personal name Ongull and `ey` - meaning island, or - as a student of old Norse tells me - Ongull meaning Strait. The island is surrounded by sandy beaches and rocky coasts with caves, with the inland part of the island for the most part being agricultural, but these days many of Anglesey's farmers have diversified into providing holiday accommodation or themed attractions. There are abundant and well preserved remains from the Neolithic and Bronze ages, and native settlements from the Celtic period. We are working hard to put them online, complete with photographs. 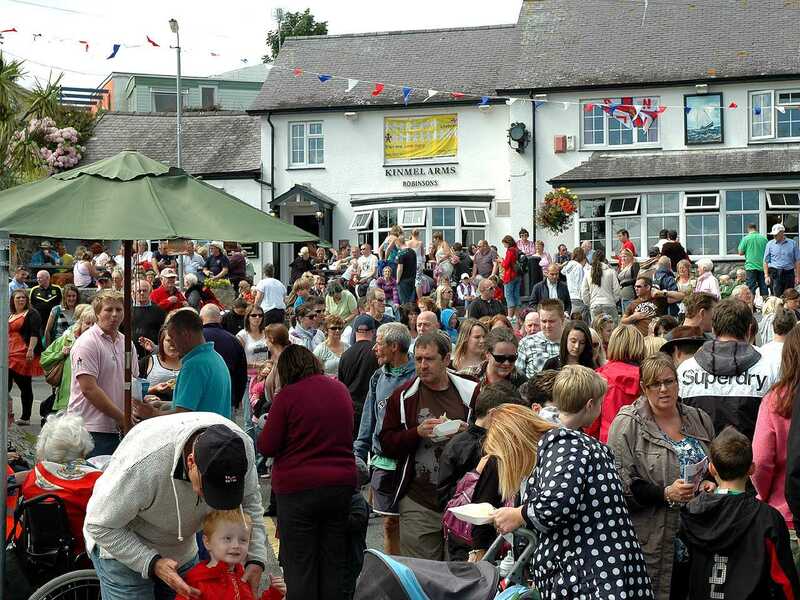 All in all, Anglesey is an island with plenty to see and do, and without finding yourself in a constant crowd. Take time to smell the roses, and you will certainly have plenty of time to do that on Anglesey. Please note that the majority of our photographs are in thumbnail form and if you would like to see them full size you just have to double click on the photograph. 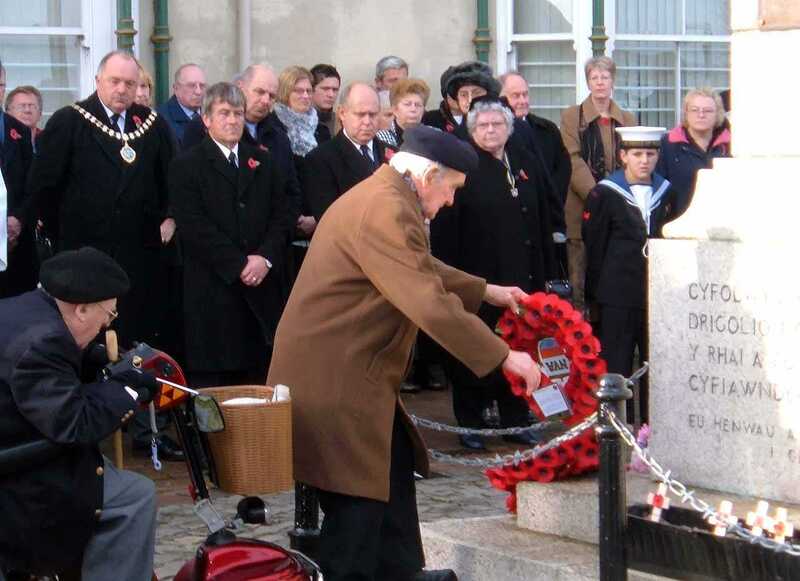 Anglesey, Holyhead, Remembrance Sunday - A veteran of WWII lays a wreath at the cenotaph. Pre Cambrian rock (some of the oldest rocks in Britain) covers approximately two thirds of the island, and it is the driest county in Wales. It has a prevailing south westerly wind, and a greater proportion of lowlands than any other county in Wales. Holyhead mountain is the highest point on the island at 720 feet. There are only eight other `high` places on Anglesey, ranging from 480 to 585 feet high. Our aim is to provide everyone with up to date information about what is happening (and has happened historically) on Anglesey. We have put together what is the most complete pictorial record of churches (unparralleled on the internet) past and present on Anglesey. We have charted the history of both of the Menai Bridges and we tell part of the amazing history of Moelfre lifeboat, and our very own hero - Dic Evans. 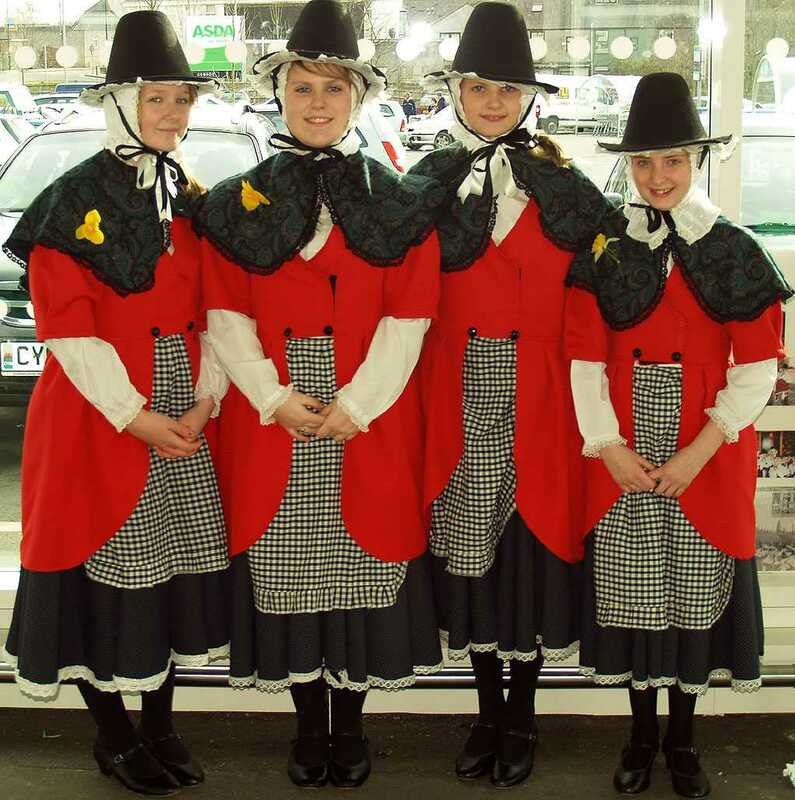 Llangefni, St David's Day, Welsh Lasses in traditional costume. We show you some of Anglesey's towns and villages, and we let you know what there is to do on the island. 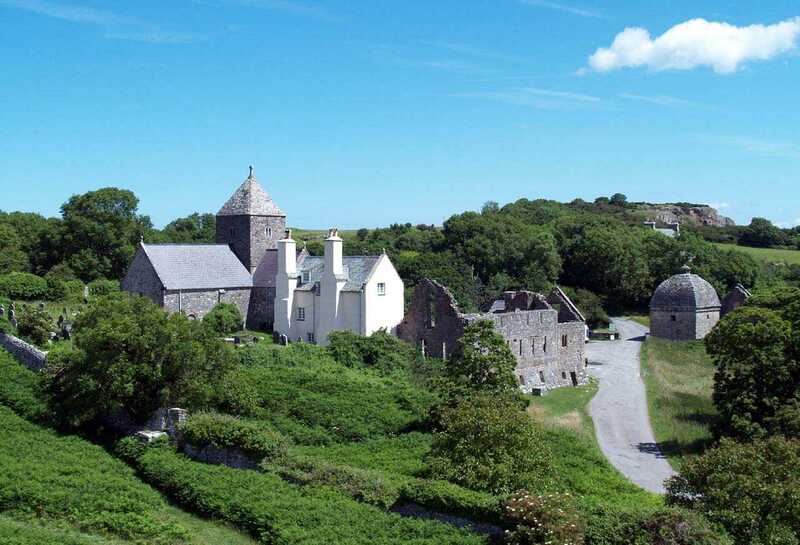 A timeline for Anglesey is now partially online, showing the history of the island. This will be added to and completed right up to the present day. We have recorded the history of the Training Ship Indefatigable - so long a part of life on Anglesey. We are working on recording the history of some of Anglesey's most important houses, and the people who once lived in them. 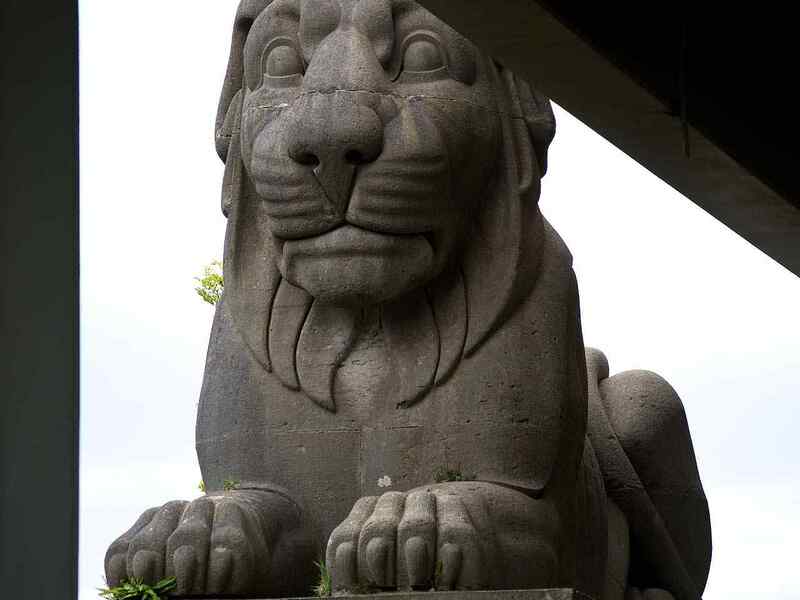 We have extensive pages (unparalleled on the internet) on ancient monuments to be found on the island, along with high resolution photos taken at the sites. These will be regularly added to and updated. They are a window on what life and conditions were on Anglesey upwards of 4000 years ago. What better excuse for a day in the country? As with all places these days, but especially because of their rural location, please do take care to lock valuables out of sight when visiting any site. Browse through all of our pages at your leisure, and keep coming back for more. We will continually upload fresh items of information, to keep you right up to date with what is happening on Anglesey. Please save this site as one of your favourites. Click on Favourites on your browser, and then click on Add. This will preserve the location of our site. We look forward to your returning time and time again, and we will endeavour to make each visit worthwhile. Congratulations to Prince William of Wales and Kate Middleton on their marriage on 29th April 2011. They bring a breath of fresh air - not only to the British Monarchy - but to the World.